There are some people who literally don't just change the way we see the world, or the way we act in that world, but they change the world itself. 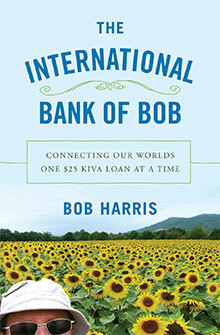 It's my honor to host Bob Harris, author of The International Bank of Bob--and yes, he is my new hero. And wait until you hear his story. He was hired to write about luxury hotels for Forbes Traveler magazine (we are talking $3300 a night rooms) but something didn't sit well with him about all this excess. 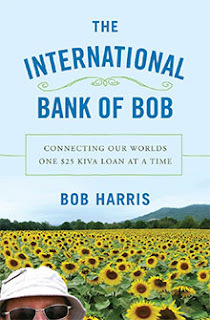 Instead, he used the money to fund micro-loans to desperately poor people all over the world, establishing what he called The International Bank of Bob and using the non-profit Kiva.org to help. You adore him now, right? 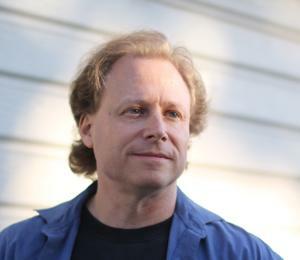 He's been a TV writer, a Jeopardy game show champ, and even a comic, and in his book he tells how he traveled the world to visit the recipients of these loans. The book is amazing, funny, and important--and so, really is he. Bob, I'm so honored to know you. 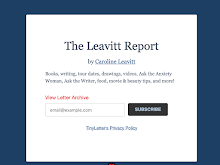 Below is something he wrote from TakePart.org. Thank you, Bob. For everything you do, for being on this blog, for being the change instead of just talking about it. Not long ago, I was in Kigali, Rwanda (an introductory phrase that I never dreamed I might write so casually), watching a small boy in an Annie T-shirt playing with a marble. A year and a half earlier, Yvonne and her three kids didn’t have a giant stack of produce to sell and a home with a solid roof. They were sleeping on a mat in an unpowered shack that Yvonne rented for the equivalent of five U.S. dollars per month. Their prospects weren’t exactly promising, either: Yvonne was a single mom in a country still recovering from genocide and war, with no advanced skills beyond sheer persistence. But persistent she was. 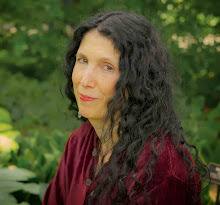 She learned from friends how to buy sweet potatoes, sorghum, and other staples in bulk, transport them home, and sell portions at a mark-up, providing the same profitable convenience as any Western 7-Eleven. Yvonne’s first loan to buy bulk goods was for 70,000 Rwandan francs—the equivalent of about $140. Prior to the arrival of microfinance, Rwandan banks required five times as much just to open an account. Yvonne’s loan would have been inconceivable, and her kids would probably still be sleeping in the unpowered shack, instead of curling up in a real bed under a good roof. With stability in the family’s life, the kids can attend school. The boy in the Annie shirt will soon learn to read the word Annie. Since literacy breeds opportunity, these children may well have a wholly better life simply because their mom had access to these tiny loans. When I was a luxury travel writer, I used to stay in some of the world’s fanciest hotels. I barely recall most of them. But I’ll remember Yvonne’s home, her kids, and her story, plus the stories of the other clients I met all over the world—from Peru to Bosnia to Kenya to Lebanon to Nepal to Cambodia and beyond—for as long as I live. It is pure joy to be able to share it all. We have winners for the book giveaways!